Rentokil Initial provides services that protect people and enhance lives. We protect people from the dangers of pest-borne disease and the risks of poor hygiene. We enhance lives with services that protect the health and wellbeing of people, and the reputation of our customers’ brands. Rentokil is the world’s leading commercial pest control services provider. Initial is the world’s leading commercial hygiene services provider. Ambius is the world’s leading commercial provider of plants and scenting. We have over 1800 local service teams across the world covering 91% of global GDP in over 90 of the world’s 100 largest cities across North America, Europe, UK and the Rest of World, Asia and the Pacific. Operating in 70 countries, approximately 90% of our revenues are derived outside of the UK. We are next door to the world famous Killarney National Park and Lakes plus The INEC which makes us an ideal location whether you are looking for a family, leisure, activity or entertainment break in Killarney. With a choice of restaurants, bars and facilities which include a swimming pool, tennis courts, fitness centre and pitch and putt, there is something for everyone at the Gleneagle Hotel Killarney. We have free wifi and free residents parking. At our Killarney hotel we are perfectly placed to offer you luxurious 3 Star accommodation that is sure to leave an impression. 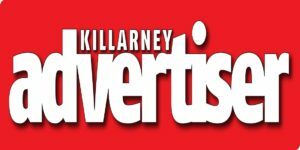 Written, designed and produced locally, the Killarney Advertiser is the longest-running family-owned and run advertiser in Ireland, and is the second-oldest advertiser (by a few weeks) in the country. Killarney Advertiser prides itself on remaining a responsible and community-minded local business, and are involved in a whole variety of local events and endeavours.